The City and County of Denver issued almost 68,000 building permits in 2015, and that building permit activity represented the most permits issued in the city since before the Great Recession, according to The Denver Post. 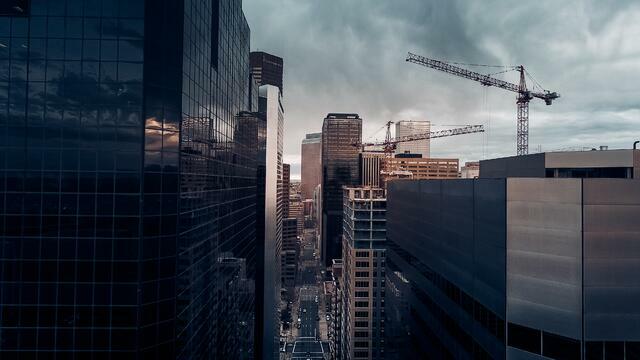 The building permit process in Denver is always evolving, and like municipalities and cities throughout the country, it can be difficult to stay on top of the Denver building code. Here are four things you should know about the building permit process in Denver. Before diving into the Denver permit process, it is important to know that Denver is seeing unprecedented demand for building permits. Citywide permit demand may affect your project’s review time and/or your wait time at our permit counter. The City of Denver is taking major steps to improve the services they provide, including hiring, paying overtime, and outsourcing some reviews. The Denver Development Services department will continue to work hard to keep pace with permit demand, while making changes behind the scenes for long-term success. You can view current estimated review times on the Denver Development Services website. You can also check the status of your Denver building permits and the associated reviews online by entering your log number. You should receive your log number when you submit your application and building plans. Most building projects in the City and County of Denver including new construction, remodeling and repairs require general construction permits (#1R or #1C) to allow construction, and then trade-specific permits for each part of the project. Residential: Permits for residential buildings include single and multi-family homes, home/office combinations, homeless shelters, residential care facilities, and even correctional facilities. Civic, Public, and Institutional: These types of building permits cover utility buildings, recreation centers, daycare centers, parks and open spaces, cemeteries, schools, and churches. Commercial Sales, Service, and Repair Buildings: These permits include arts and entertainment, medical/dental, parking, restaurants and pubs, tattoo parlors, pawn shops, and more. Industrial, Manufacturing, and Wholesale: This includes buildings for telecommunications, contractors, oil and gas drilling, quarries, wind energy, transportation hubs, junkyards, recycling centers, storage buildings, and more. Agricultural: These building permits are for aquaculture, urban gardens, and plant nurseries, as well as farms. Before the permits are issued, a building permit plan review is required to evaluate the projects. Most building projects in the City and County of Denver including new construction, remodeling and repairs require a building permit plan review to evaluate the projects before permits are issued. There are some instances where only a trade specific permit or a quick permit is issued with no review required. There are two types of log-in reviews: Main Log and Intermediate Project Log Review. The type of review you need depends upon the complexity of your project. Projects that qualify for a same day review have a total construction value less than $300,000.00, do not require approval from any other agency, or projects that have been approved by the Building Official for same day review. More complex construction projects with a total construction value greater than $300,000.00 are required to be logged in for review. This is the default method of review. It is always appropriate, and preferred that project applications are submitted for review on the Major Project Log, known as the M-Log for commercial projects and the R-Log for residential projects. Project applications of lesser complexity and/or scope may be reviewed as a Intermediate Project (X-Log) review for commercial/multi family projects and the P-Log for residential projects. For commercial projects, this method of review is only allowable on projects with valuation less than $500,000.00, or with prior arrangement and approval from the Building Official. For residential projects, this method of review is only allowable on projects with prior arrangement and approval from the Building Official, or projects of intermediate complexity. Show up on time, even if your case isn’t presented first. You’ll have about 15 minutes; being organized and concise is important. If your case is particularly complex, however, be prepared to come back. If the owner can be present, all the better. Know the Code well enough to present your interpretation intelligently. If you are having trouble navigating the Denver building permit process for your project, let Burnham's code experts help. We’ll inspect your project, analyze your designs and plans, locate any potential problem areas, and offer advice as to how to remedy them before they cause you undue delays and costs.